GMM Pfaudler Limited - Manufacturer of ae series glass lined equipment, be series glass lined equipment & ce series glass lined equipment in Karamsad, Gujarat. 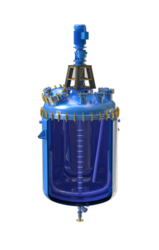 The DIN AE series reactors are a multipurpose range of reactors in a two piece construction with the main cover clamped to the base unit. The standard range extends from 63 Litres to 6300 Litres nominal capacity. DIN 28006, part 2 : Tolerance Glass Lined as per DIN EN ISO 28721 Design as per ASME Section VIII, Division I. 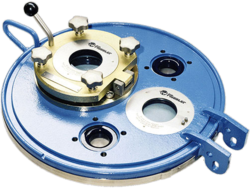 Custom designs for enhanced pressure and temperatures are also available. 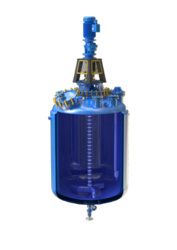 The BE series reactors with a small central opening for agitator entry. They are used in combination with Pfaudler′s patented Cryolock Agitator System. BE reactors are now the preferred choice world over for flexibility, reliability, and ease of maintenance. The standard range extends from 1600 Litres to 50000 Litres. GMM Pfaudler's Agitated Nutsche Filters and Filter Dryers are designed and manufactured with state-of-the-art technology from Mavag AG, Switzerland. 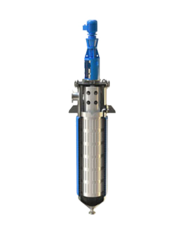 These filters operate under pressure and/or vacuum, significantly reducing production time, improving product quality and minimizing environmental exposure. Our innovative technology allows for filtering and washing of solids as well as drying in a single unit, resulting in a higher yield with no operator contact. Moreover, performing all operations in an enclosed system assures consistent product quality, simple validation as well as the required operational safety. Our Filter/Filter-Dryers can be optimized to allow for frequent changes in product campaigns. It can also be offered in High Pharma or Sterile configurations as per FDA/MCA requirements. GMM Pfaudler Filter/Filter-Dryers are offered in Stainless steel, Hastelloy and special alloys offer in various sizes ranging from 0.1M2 to 12.0M2. 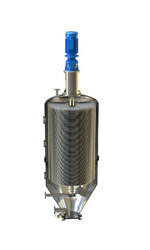 For extremely corrosive applications, GMM Pfaudler also offers Glass lined Agitated Nutsche Filters up to 3.6M2. 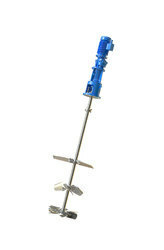 The agitators offered by us are guaranteed for the stated Mixing performance. If the specified performance is not achieved the agitator will be modified or replaced at our cost. GMM Pfaudler′s Wiped Film Evaporators (WFE) are operating in plants across various industry segments including Food Processing, Pharmaceutical, Fine Chemicals, Polymers & Resins, Fats & oils and Petrochemicals. Our WFE®s can be offered in most materials of construction depending on the application. Our sizes range from 0.1 Sq. Meters to 21.5 Sq. Meters of evaporating surface area. Though this style of evaporator can be used in almost any application, the WFE excels in distillation steps where products are heat sensitive, viscous, tend to foul heated surfaces, or have high temperature boiling points. GMM Pfaudler′s WFE′s are engineered and built as per ASME code Section VIII Div. 1. European design codes like AD Merkblatter, Stoomwezen under the Pressure Equipment Directive (PED) are available on request. In addition we are also certified by SELO for supplies to the People's Republic of China. 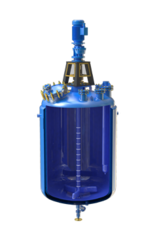 The Funda® Centrifugal Disc Filter is used for the separation of solid particles from a liquid with the help of porous layers that allow the liquid to pass through but retain the solid matter. 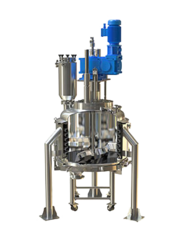 The Funda® Filter can be operated automatically and can be integrated with other process equipment such as pre-coat vessels, pumps, valves and instrumentation. 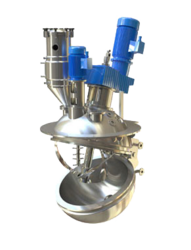 The Mavasphere® Spherical Dryer is a multi purpose dryer used in the drying of Active Pharmaceutical Ingredients (API’s) and Fine Chemicals in compliance with cGMP and FDA guidelines. The Mavasphere® provides excellent drying performance over a wide range of filling capacities with a good turn down ratio.